Cannon Falls students performed at their annual solo/ensemble contest on Friday. Cannon Falls High School Band plays their music for contest. Friday, March 29th marks the annual solo/ensemble contest for the music department. The contest was held in Medford, Minnesota this year. Both the Cannon Falls band and choir students were excited to perform for the judges. Each solo or ensemble performed one or two pieces which they had been preparing and perfecting for months. 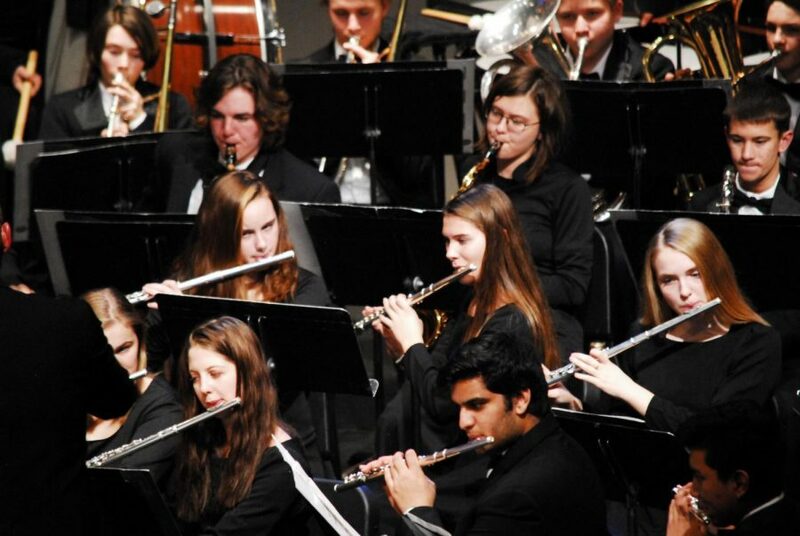 After performing, music students received a score out of 40 points. Based upon their score, students got a rating such as superior, excellent, good, and fair. Some areas they were scored on consisted of tone quality, rhythm, intonation, technique, etc. A few of the solos and groups performing included a brass quartet, percussion small group, flute duet, clarinet duet, tuba and trombone duet, as well as numerous vocal pieces. Those participating left school on Friday around 8:00 a.m. and arrived back at school by the end of the day. It was a fun and rewarding day for all, and many students walked out with superior and excellent ratings.